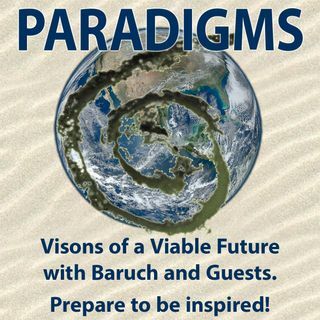 Paradigms brings you inspired inspiring people exploring visions of a viable future for life on Earth, including humans; and great music from around the world! Music on Paradigms is licensed through BMI. Petite Celine – Musician, Artiste, New CD "Man Made Fire"
John Westmoreland – Musician, New CD "Cast Fire"
Yoeke Nagel – Journalist, Author, New Book "Searching"
Phil Hewitt – Journalist, Runner, Author New Book "Outrunning the Demons"
Poranguî – Musician, Healing Arts Practitioner, New CD" Poranguî Guided Journey"
Frances Moore Lappé – New Book "Daring Democracy"
T O B I A H – New CD "Are We Angels"
Del Shores – Actor, Writer, Producer and Director – "Sordid Lives" New Play "This Side of Crazy"